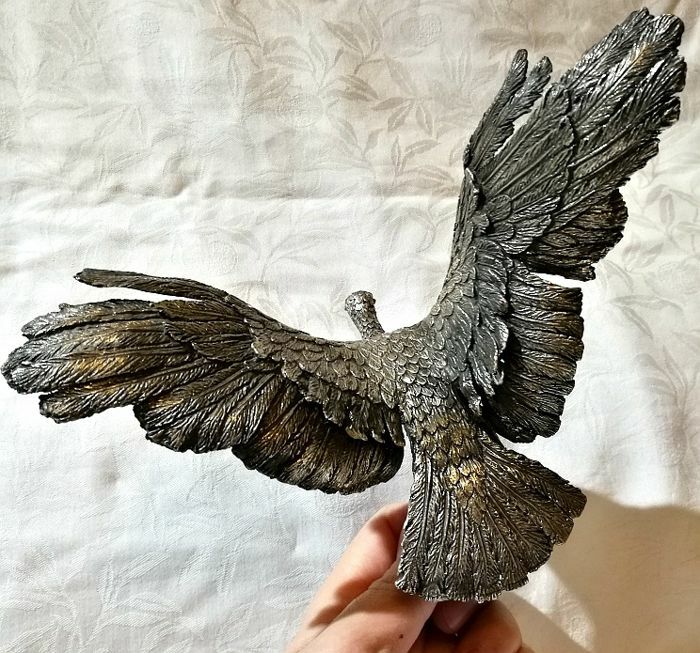 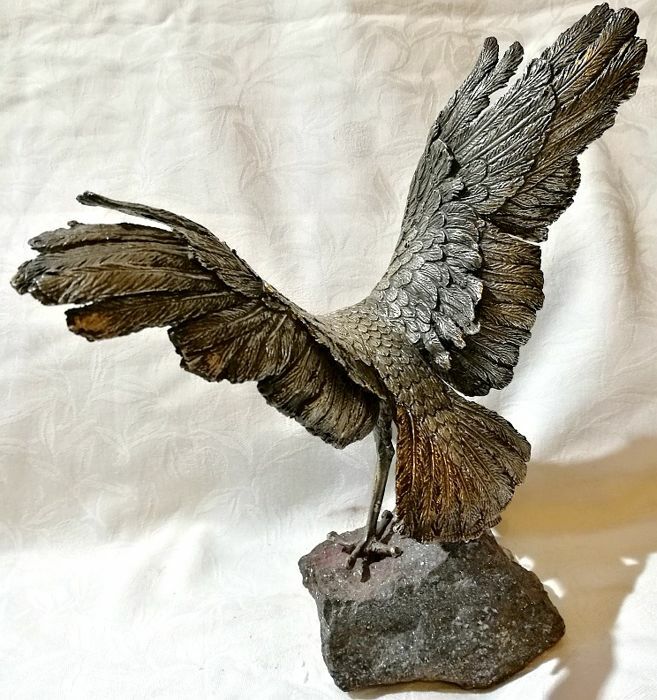 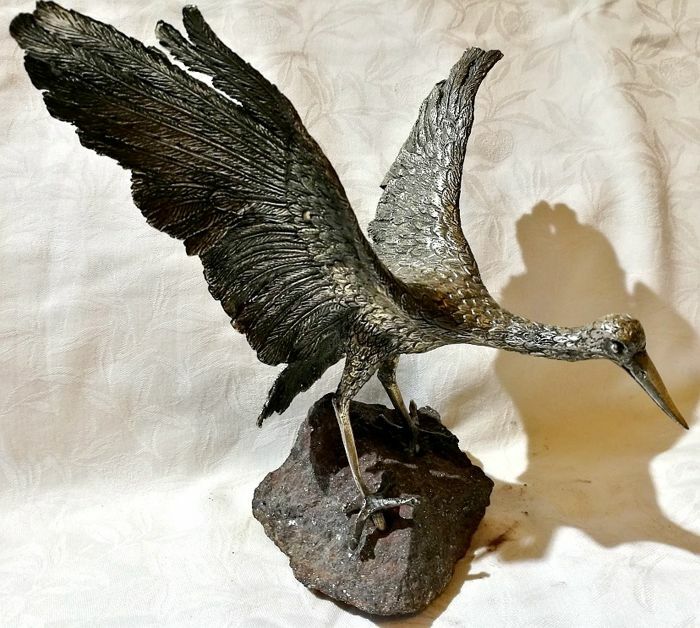 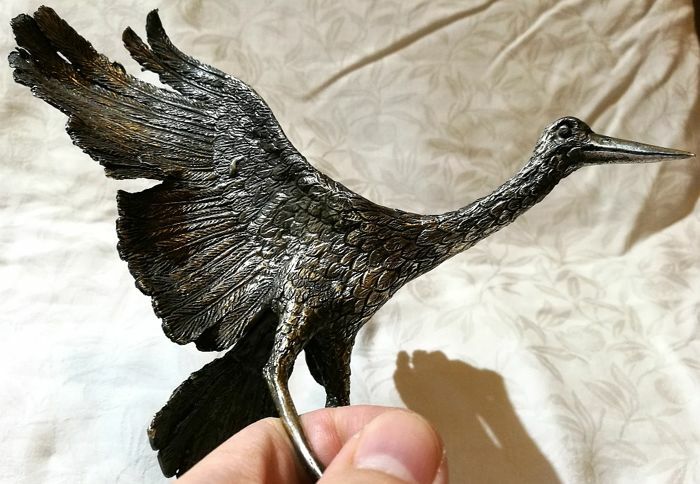 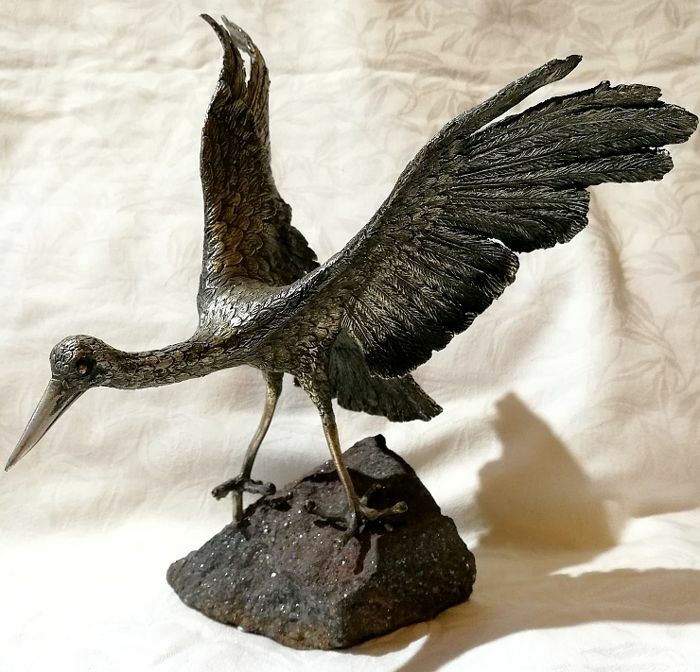 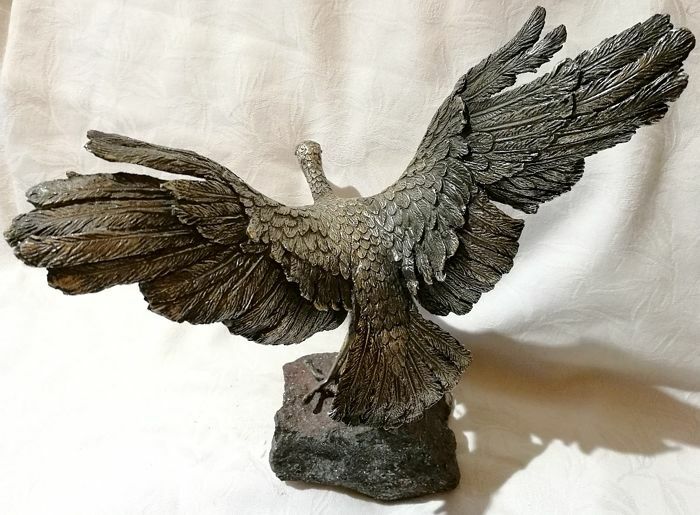 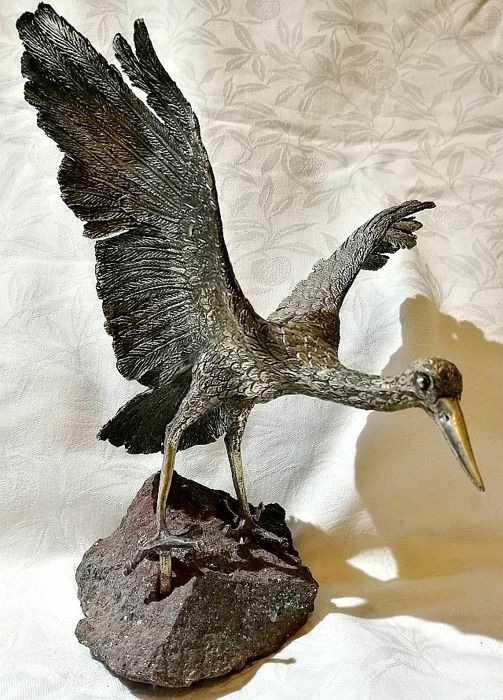 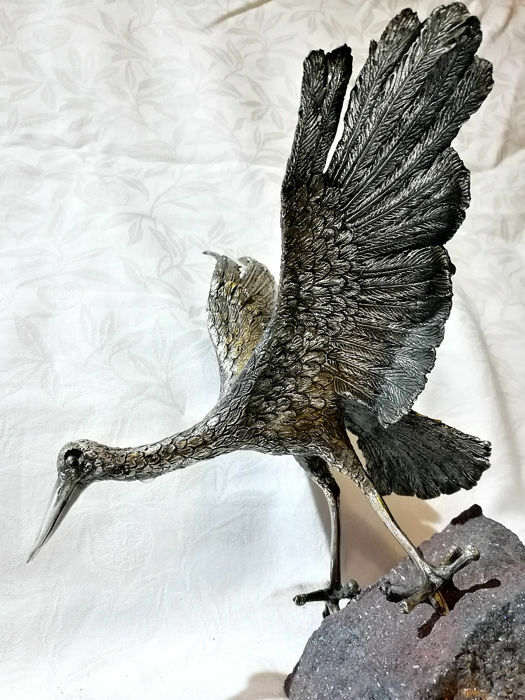 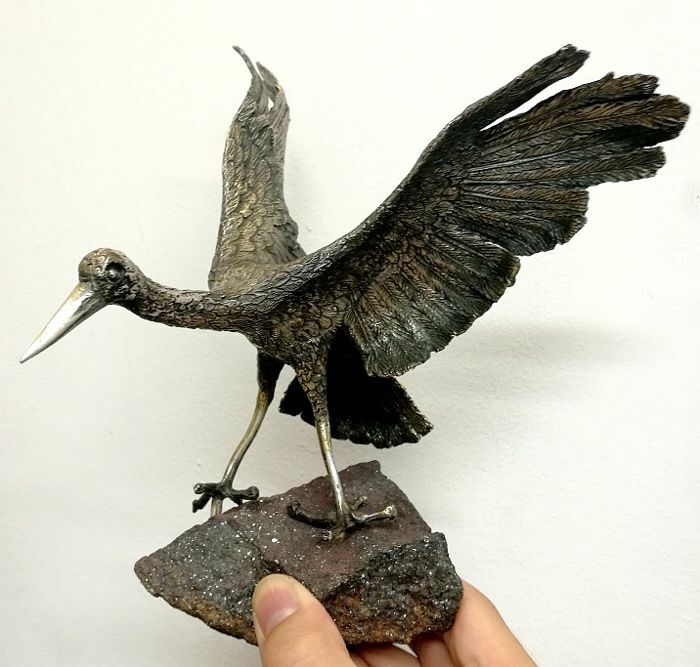 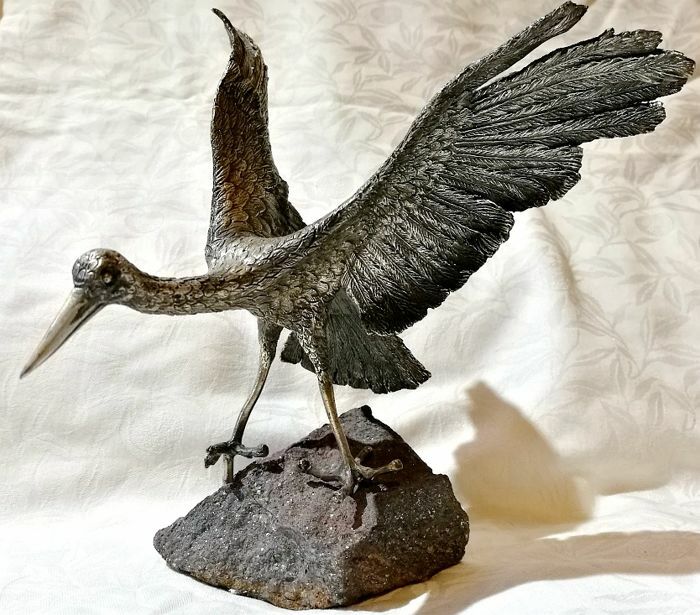 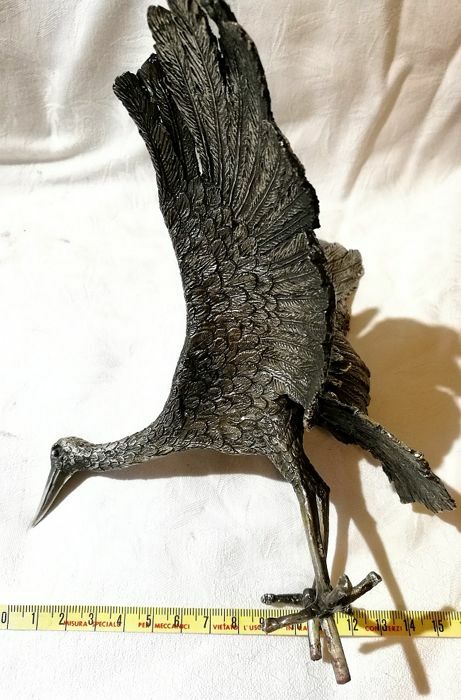 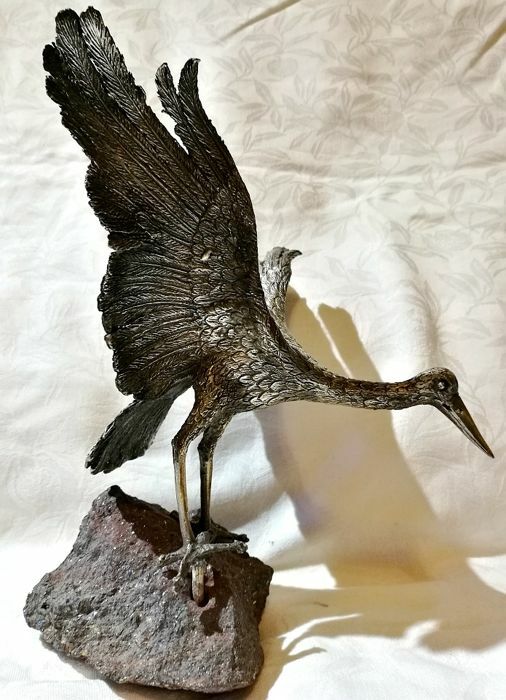 Beautiful and large bird in silver, Buccellati style, base in ferrous stone. 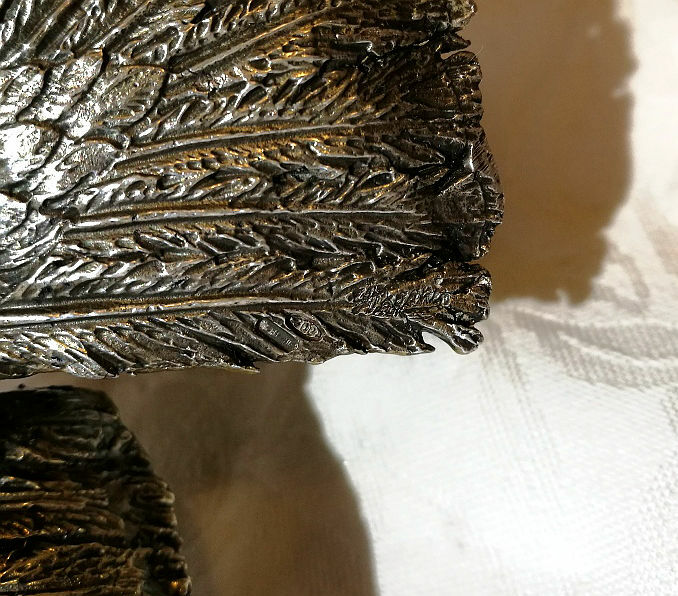 Silver title mark 800, Manufacturer hallmark and signature are illegible. 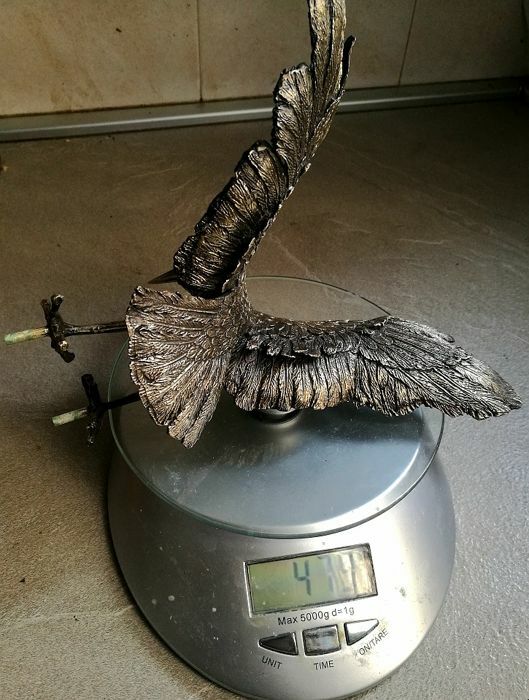 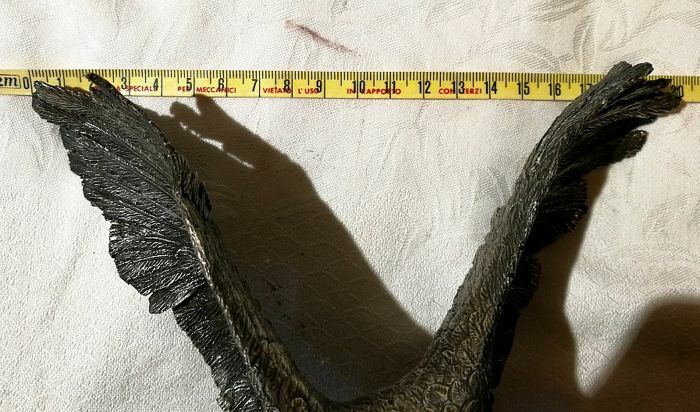 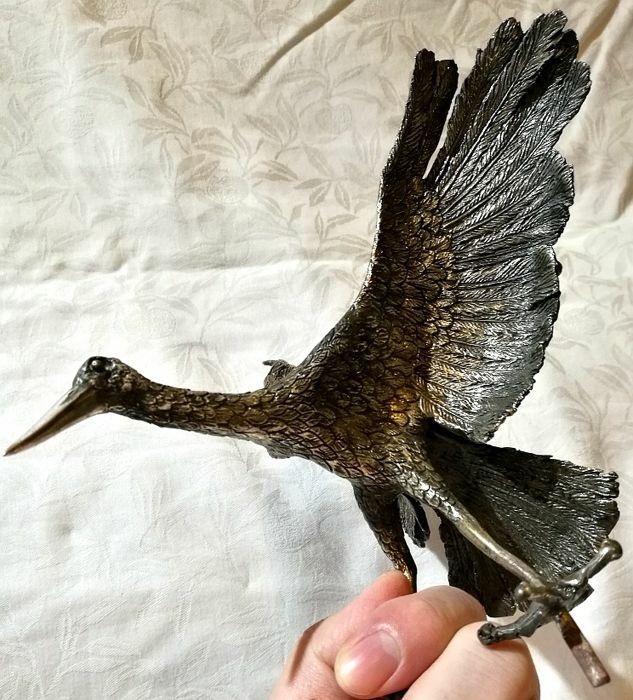 Dimensions: Wingspan 20cm, head to tail length 16 cm.